The best part of my job as a tech director is getting to connect with students in their classrooms. I try and make this part of my weekly and daily routine no matter how busy my schedule seems. Recently, I outfitted two of our 6th grade math classrooms with 1:1 iPad classrooms. I worked with both teachers on setup, logistics, and resources to get started. In Ms. Cowan’s classroom she had five homeroom students who displayed natural curiosity for the iPads that were now in their classroom. And from this, the North Street Elementary “Genius Crew” was developed. Four years ago I helped launch an iPad initiative at Burlington high school and one of the greatest rewards from that initiative was our student led genius bar (or help desk). This course established a new paradigm for technology support in schools as well as a space to design, create, research, and share. Since it’s launch in 2011, I have helped and witnessed more schools adopt this model in their respective schools. 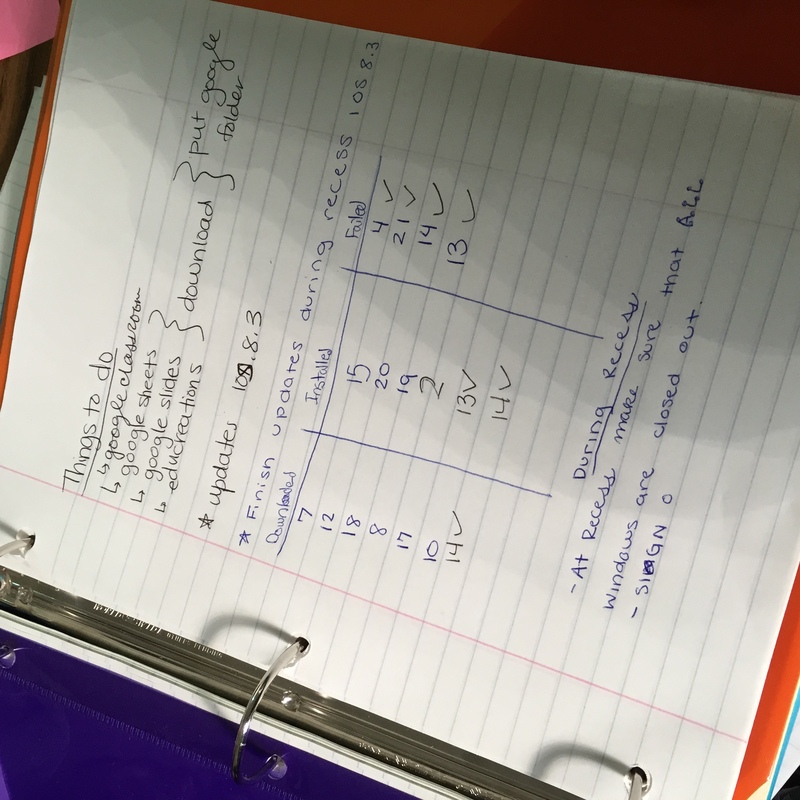 Additionally, I have witnessed two students at Reading Memorial high school design, plan, budget, present, and create their own help desk course from scratch. In most instances, these courses were primarily launched at the secondary level. However, that is changing in Grafton. A week ago, I received an email from Ms. Cowan saying that her IT helpers would like to meet me and ask some questions about technology and the iPads. I took the meeting, but had no idea what I was about to encounter. I met with five students and I asked them how they liked the iPads and how they liked using it in their classes. Their responses were short, and basically they said, “Cut the small talk, we need to figure out why this iPad is dropping wifi, and why this document is not displaying properly when opened in Google Classroom!” Now, they didn’t say cut the small talk, but they were eager to solve problems and discover solutions so they could help their teachers. Needless to say, I was impressed, but not overly impressed because kids are resourceful and filled with fantastic ideas. When I returned to the tech office I found some Apple stickers, blank ID cards, and green lanyards. I posted the stickers on the ID cards and wrote “Genius Crew” within the Apple logo. Today I returned to meet with the newly christened, “Genius Crew” to present them with their official badges. Their eyes lit up and they all donned them with fervent pride. But, much like our last meeting, they were excited to get to work and solve problems. After he was done sharing his video, I asked if there were any issues that they have noticed with the iPads or technology in general. At this point Georges went over to the shelf and got a blue binder that said “Math” on the binding. He brought it over to the table and opened it up. In it were tabbed pages that read “information”, “tasks”, and “questions”. After flipping through their extensive notes and information I asked, “Why did you put this information in a Math binder?” Georges responded, “Well we have login information in here so we want to disguise it (NOTE: These kids love math but simply wanted to throw off others from their trail). As we continued our discussion, Paige and Josh had noticed that the wifi was dropping when you were on one side of the room, but stable elsewhere. Josh recommended that I add another access point to provide more coverage. At this point I handed him my badge and my keys and said that he would be replacing me effective tomorrow and that I am no longer relevant. His eyes lit up and laughter ensued. I promise I am not making that up to enhance the reach of this blog post. As we move forward, the students will help out during their homeroom time and recess. Just today they were assisting teachers with iPad and app updates. I knew this because it was written in the binder and it had not been checked off yet. Additionally, they will help out when they are needed in their respective classes. We shared this information with all teachers in the school and they were all delighted to have tech support daily. Next year these six students will move up to Grafton Middle School. We are already planning to have them support technology at their new school. Next week they will be breaking down a chromebook and providing support videos and resources for all teachers and students to access. What happened here was a simple case of student drive and ownership of their learning. They saw a basic need for something and realized an opportunity sitting before them. They not only took advantage of this opportunity, but found a way to make it their own and create something that was never there before. Plus, they were given space to question, explore, and discover. They didn’t need a grade or any incentive to drive their thinking; they simply found something they loved doing and owned it. Two weeks ago, while listening to Jennie Magiera keynote Tech & Learning Live Boston, she mentioned to the audience about not simply asking students what they learned today, but rather, what did you create today? This simple semantic shift resonated with me and it was evident in what I witnessed with six, sixth grade students. They not only made a dent in the universe, but enjoyed every minute of it. For the past two weeks that is the phrase I’ve heard as I walk around with Apple’s newest technology strapped securely around my left wrist. As with most of Apple’s products, I have been an early adopter. I paid an exborenatant amount of money for the first iPhone, stood in line for the iPhone 3GS and the first iPad; I camped out overnight for the iPhone 4 and stood in line again for the iPad 2. I have an alarm on my phone labeled, “Apple releases”. So, when I heard about the release of the first new Apple product line in five years, I simply had to have it. However, this is not a post about my obsessiveness about Apple products, but rather their practicality in the consumer market. I am not an earlier adopter of technology simply to have the latest and greatest, but rather, to see if it can make tasks in my life more efficient and connected. It’s basically part of my job to stay ahead of technology and understand its influence and impact on education and then transfer those applications through teaching and professional learning. As for the Apple Watch in education, I only see minor applications at the moment, but can foresee a day when every student no longer has a device in his or her pocket or bag, but is wearing it in some form. If you think the smartphone and iPhone have redefined the idea of personalized, private technology, just wait until wearables become more commonplace. It’s simply a matter of time. I opted for the 42mm, white band sports watch. For the first generation, I felt this would be a perfect model for me to test and see what I thought. After taxes my total came to $423.00. Some would say that is ridiculous for a watch, but I have been watching people spend exorbitant amounts of money on timepieces for years, yet they only tell the time. So I got over the price very quickly and realized that in the grand scheme of the luxury watch market, and for what the Apple watch gives you, I felt Apple’s tiered pricing fit the market. The setup was very easy and allowed me complete autonomy on customization. 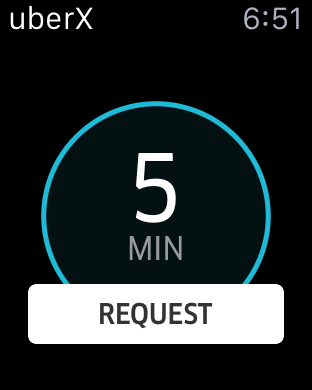 I highly recommend not syncing all of your phone to your watch and doing that later. This allows you to turn Apple watch compatible apps on and off. You can also toggle the apps you want in glances. Glances is probably the feature I use most and has become a new efficiency in my day. I simply swipe up from the bottom and can swipe left and right to see common information like sports scores, weather, news, etc. Some would argue that you can simply do that on a phone and what is the point? The point is, it allows me to be more discreet as I glance at my watch – a task most have been doing for centuries – rather than obnoxiously glare at my phone while in a conversation or meeting with someone. A few flaws that I have noticed is that the apps take some time to load. This is due mostly to my experience with the iPhone 6 and how quickly and smoothly everything moves. I imagine with future processor upgrades, this will change. 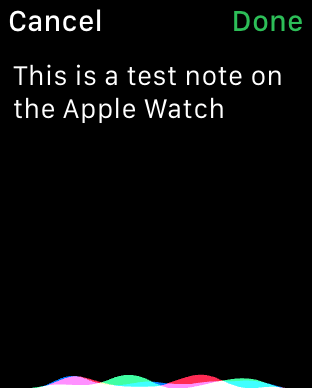 The wrist flip, which activates the screen is fairly accurate and again, allows me to quickly glance at information or alerts rather than fumble for my phone. The alerts are delayed in comparison to receiving them on my phone. When I tried the Pebble watch (I could, cost effective trial if you are unsure about the Apple Watch $80 on Amazon) the alerts were completely in sync with my phone. This is not always the case with the Apple Watch. Finally, I would like to see a lock screen timeout option where I could initiate the screen with a wrist flip and allow it to stay on for a minute or two. That is one customization that is not present. Responding to alerts such as SMS are nice, but that’s about it. Although, I did answer a call on the watch and I must say, it was cool, but not something I would do in public. 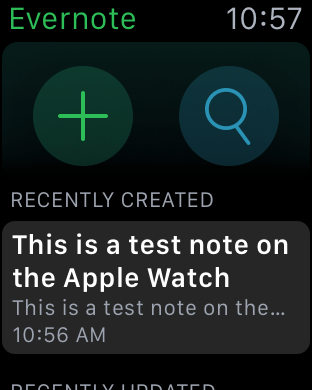 The canned responses you can set up for SMS are a nice way of getting back to someone quickly with a common message via the watch. I have replied using the speech to text feature several times and it is very accurate; however, I only feel comfortable doing this in a crowd. Although, I do like that if your speech to text response doesn’t line up correctly you can send a voice recording. The twitter app allows you to receive notifications when someone replies or retweets one of your messages, and you can reply using speech to text and emoticons. At the moment, there is no way to reply to Facebook alerts (also no Facebook app for Watch), GMail, or Apple Mail. I imagine these are features and apps that will eventually arrive. There are several apps that I really like using on the watch and offer a new level of efficiency and convenience. The Evernote app has a very novel design and practical functionality that creates an efficiency in how I can quickly create a note with a reminder on it. This has been extremely useful tool for quick thoughts or reminders. The Shazam app is also extremely efficient when you hear ‘80s song that you just can’t figure out. Additionally, the Pandora app and iTunes music app are nice for controlling your music that plays on your phone. When your phone is connected to headphones or a bluetooth speaker this allows for convenient shuffling between songs. The only social media app I currently view on my watch is Instagram. Instagram’s novel iPhone design translates well to the watch and allows you to scroll through your timeline and like photos as well as see the activity on photos you post. If you are into concerts, sporting events, etc. the StubHub app works nicely on the watch for viewing nearby events as well as scanning your tickets for upcoming events that you are attending. The Keynote app is another super convenient app. I can control presentations easily from my watch and move around easily without setting up a clicker. Additionally, the Apple Remote app is great for moving through screens and options on my Apple TV. As for fitness, I am kind of over the whole fitness tracking, “how many steps did I take today” information, but Apple’s fitness information looks nice and does a good job of tracking your workouts, runs, and movements throughout the week. The heart rate monitor is nice and accurate as well. As for fitness apps, I use RunKeeper which offers a nice interface when I am running, however, I cannot control my music through the app which is a flaw. I also use the Withings bluetooth scale and their app is nice for a quick glance at my weight when I am tempted to eat a third slice of pizza. I have not used the Maps function much, but I have heard mixed reviews of its accuracy. I don’t travel too much, but I imagine I might use it if I find myself in a foreign city. 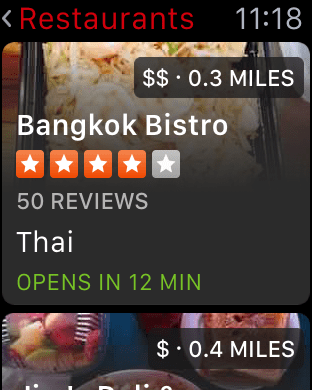 Similarly, the Yelp app is nice for finding a nice place to dine at a quick glance. 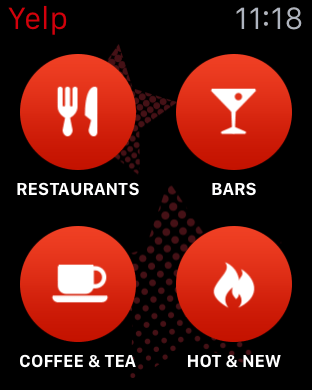 I also use OpenTable a lot, but at this point the app will only remind you of your reservations. You can’t make them via the app…yet. Finally, I find myself using the passbook app most frequently. Setting up Apple pay is a fairly painless process and it allows me to scan my watch rather quickly to make a payment or get my daily iced coffee. 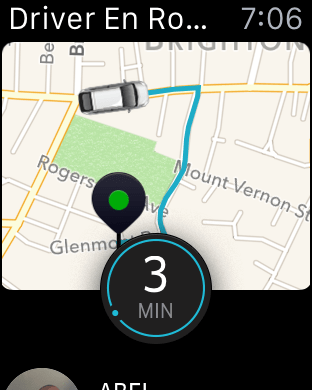 In addition to these apps, the Uber app is extremely novel and allows you to solicit an UberX (Only this option at the moment) and see a small map of where your driver is. But, probably the coolest feature is the digital touch. This option requires two people to have an Apple watch and you can send your heartbeat, a tap, or a message in action. I have tried this a few times with several early adopters and I must say, it’s rather cool. Overall, I like the watch and have found a variety of uses for it and created some new efficiencies in my day-to-day schedule. It’s only resided on my wrist for two weeks and I am sure I will find more uses for it and I am certain that apps will evolve to do more. 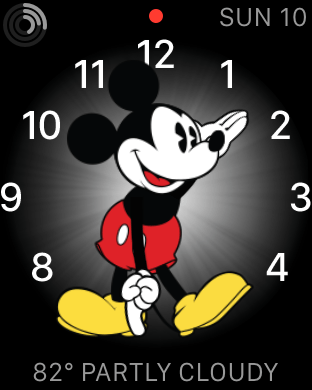 Oh, and the watch face that I use most is the Mickey Mouse watch face. I find this to be not only cool and nostalgic, but useful with the customization surrounding Mickey and his tapping foot. I hope Apple allows third party watch faces and adds more to the mix. What they currently offer is fine, but I’d like to see more customization in this category. As for the design and overall feel of the watch I couldn’t be more impressed. While it’s not as thin as an iPhone, it is very light and I barely know it is on my wrist. The sport band strap is comfortable and durable. I charge it every night and usually get through a day of use with 40-50% battery remaining. With any new product, there are flaws and plenty of room for improvement. I didn’t expect the Apple watch to be perfect, but I knew Apple would once again set the bar high for a new and emerging market. And they have. If you are someone like me, order your watch immediately! For the rest of you who are still on the fence, or feel that everything I mentioned is excess and unnecessary for day to day, then wait. I am sure wearable technology will take time, but I am certain it is market that will someday soon cause us all to stop and laugh at the way we used to use our smart phones. I am no longer impressed by a 1:1 device deployment. Just as much as I am no longer enamored with Apple commercials for the iPod. It’s easy for schools to get caught in an innovative lull or a financial one. Aside from mobile devices and new infrastructure models, schools can still innovate and move their programs forward without the devices. As I have said since I was first involved with one of the first large scale iPad 1:1 rollouts four years ago, the focus should be on shifting culture, not devices. One of the primary reasons for this statement is that I know for certain that the iPad will come and go in classrooms just as its many predecessors have. Whether its the dry erase board, smartboard, or laptop, the technology we deem necessary and purposeful for today’s student will soon be gone. Therefore, it is wise for schools to work on the fundamentals of building a strong school culture around shifts in professional learning paradigms, curriculum building and assessment, and non-technological approaches to designing dynamic instruction. These pieces will similarly change and should always evolve, but the district or school mindset must be in the right place in order to prepare for an ever-changing future. Without even considering devices a school, through focused and collective leadership, can begin to develop a culture around shifts in professional learning, content creation, and instructional design. Additionally, one constant in schools is learning goals and objectives. Setting attainable, measurable, and adaptable learning goals early will help with instructional design and any type of technology integration. What’s more, technology hardware is nothing without dynamic, malleable content design. This is not to say that devices, or teachers for that matter, are simply carriers of content, but rather, they are the facilitators of inquiry, exploration, and discovery. The next constant is a consistent, open, and democratic model for professional learning that allows time for conversation, sharing, reflection, and demonstration. Professional learning should be driven by the voices of all educators involved and focus on a district theme or initiative. The focus of professional learning should never hinge directly on hardware and applications, rather it should focus on how those pieces can be layered into the learning sandwich that happens each day in the classroom. I imagine we are now both hungry for a learning sandwich. But, I digress. This is not to say that technology focused professional learning opportunities are unnecessary but, they should not be the ultimate goal. Let’s be honest, it has become increasingly important for educators and administrators to learn new and emerging technologies to facilitate learning. The problem I see is an over saturation of these types of professional learning opportunities. Additionally, I too often see technology hardware and applications be the sole focus of a school’s initiative or conference’s theme. 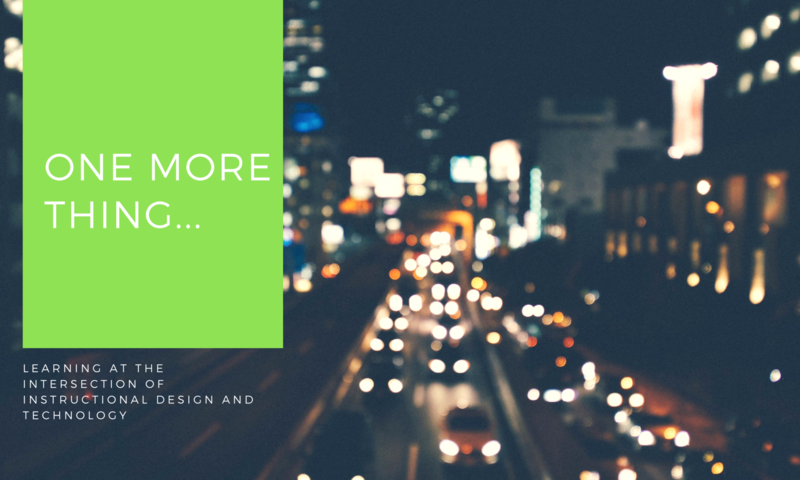 Finally, the instructional design and content design are equally important when you’re learning at the intersection of instruction and technology. I have written several pieces on this specific subject and can be referenced in early posts. However, along with developing curriculum scope and sequence and new paradigms for professional learning opportunities, instructional design is very important. The key in designing effective instruction with technology is to lead with your goals in mind, rethink your role in the classroom (facilitator of learning), and making sure you use technology that is meaningful and will challenge or provoke students’ thinking. School leaders must establish a culture of trust throughout their respective school or district. This happens with transparency and a conversation amongst all stakeholders in the school system regularly. I don’t like to consider myself an administrator (director of technology) in my district, but rather a resource. I work with building administration regularly to get an understanding of how I can serve each school better. We also conduct monthly EdTech PLCs at each school building that first focuses on creating a vision for learning with technology as well as action items and evaluative pieces for that vision. If you want to be “Future Ready”, then we need to first focus on shifting the culture of our school, and then, develop a strategy for updating and sustaining infrastructure, finding devices that meet the learning needs and goals of all students and teachers, and providing opportunities for all stakeholders to regularly discuss, share, and evaluate the school’s vision. Roughly ten years ago I had the opportunity to teach in a classroom that received a grant titled “Classrooms for the future”. The problem was, despite added pieces of hardware and software to my classroom, this was not the future. Nor would this be the classroom that students ten years later would experience. The same can be said of the classroom of 2015. I assure you this will not be the classroom that students in 2025 experience. This is why we should not get caught up with hardware and app smashing in our respective classrooms. This is not to say that apps cannot do great things, but ultimately, apps and hardware should never drive instruction. Instructional design with technology has never been more important in today’s classrooms. Additionally, professional learning models have never been more critical for utilizing educators’ time to help nurture evolving instructional design paradigms. The two run parallel because educators need the time to share learning experiences and develop and share new ideas on how to best integrate digital tools and applications. Below are some ideas for both school leaders and instructional leaders to help teachers design dynamic classrooms that lead with learning rather devices or applications. The best professional development models lead with the voices of educators. More often than not, teachers simply want time to discuss topics and vet ideas with each other. This is always evident to me when I attend an EdCamp on a Saturday and see the way ideas culminate and flourish when there is both time and space available for connecting and sharing. Educators have an innate desire to learn and grow professionally. Unfortunately, professional development models get in the way sometimes. The key in professional learning is to develop a time for this to happen, encourage collaborative learning models, and give educators time to have conversations and share ideas in both small and large group settings. We are living in a post “Bring in the big consultant who doesn’t work in a school” to deliver professional development world. Rather, schools can learn from each other and engage in professional learning communities or PLCs that connect regularly throughout the year in order to focus on a shared vision or reach a common goal. What’s more, districts and schools have the tools and media to collaborate with each other. Districts or schools should never live in isolation and feel that just because they are deemed “innovative” or “progressive” that they are. Or, that they are sustaining those identities. Schools should consistently collaborate and seek out learning experiences and conversations with as many schools and districts as possible. At Grafton, we have set up technology PLCs in each building. I meet with them regularly and we focus on meeting our goals each meeting, but also discuss action steps and any shortcomings we encountered. As an administrator, this is valuable time for me to engage with colleagues and understand what everyone needs. Additionally, it gives me insight into classrooms that I might not be able to connect with regularly. 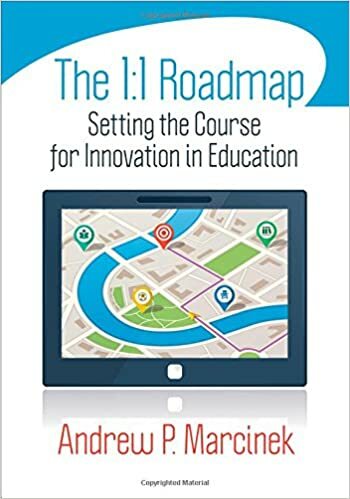 In the connected or 1:1 classroom, educators need to temper the idea of racing toward apps and specific devices. As I mentioned in the opening paragraph, eventually iPads and chromebooks will be passe and new devices and applications will emerge. This is not to say what we’re doing now with technology is a “fad”; rather it’s the world in which our students will enter. Therefore, it is every school’s responsibility to provide relevant and purposeful technology in order to challenge students daily. This is where it all comes together. Let’s take a writing strand from the common core state standards. Skill Set or learning goal: Produce clear and coherent writing in which the development, organization, and style are appropriate to task, purpose, and audience. Introduce students to Twitter and the constraints and parameters by which Twitter was founded: A micro-blogging forum that limits all users to 140 characters. Have students produce clear and coherent sentences that use heightened vocabulary and express clear, concise thoughts. Post them to Twitter or have students write them on the analog Twitter wall with markers and easel paper. Where you take the lesson from there is up to you. This could lead students’ sentences into constructing an introduction paragraph, or potentially a blog post. The point in all of this is that educators need professional learning or development time to share ideas like the one above and have conversations around how they are integrating and synthesizing technology into their respective lessons. Schools don’t need overpriced consultants (who are not practitioners or involved with a school in anyway) in order to teach effectively with technology. Nor do they need 30 apps for teaching History. What educators need more than anything is time to connect, design, and share ideas around instructional design with technology. EdCamp is the best thing to happen to professional learning since the spoken word. Period. Yesterday, March 21, 2015, this was evident at Grafton High School in Grafton, MA. EdCamp Grafton opened their doors at 8:00 am Saturday morning and by 8:30, our commons area was bustling with conversation. Educators from all over the New England area came together on a Saturday morning to attend a conference with no schedule, no keynote speaker, no session descriptions, and no vendor tables filled with schwag. By the time attendees gathered in the Grafton high auditorium, we had checked in over 200 educators. Oh, and on this second day of Spring, it had snowed lightly all through the evening and into the morning. Just in case you needed anymore evidence for the powerful impact of the EdCamp movement. We kicked off the event with an introduction and welcome by Cyndy Engvall. She shared her appreciation and thanks for everyone sitting in front of her as well as her appreciation for all the EdCamp Grafton organizers. After she handed me the microphone, I asked how many in attendance were first time EdCampers. Nearly every hand in the audience went up. I briefly explained the EdCamp format and how we were going to build the schedule. I also explained that if you find yourself in a session that isn’t working for you, or you find yourself unable to choose between sessions that it is ok to move between sessions. I close my time with the mic by thanking all of those in attendance on behalf of their students. And this we only the first few hours. I walked away from EdCamp Grafton with several great ideas, quotes, and a variety of stories that I hope to articulate in this piece. One of the highlights of the day for me, and for many in attendance were the student support throughout the day. Grafton High School had roughly 25 students on hand for the day who also spent numerous hours before the event helping prepare and setup. Students served as ambassadors for Grafton Public Schools and not only welcomed all who attended, but provided tech support throughout the day, presented in a session, and hosted a social media booth that helped educators navigate towards their first Tweet. physically post ideas to a wall that they did not want to present, but wanted to see addressed as a session. To build the schedule we had five EdCamp Organizers posted at high top tables around the auditorium with editing access to our Google sheet schedule. Attendees who wanted to present moved around to these tables and relayed their session ideas. As this was happening, all participants could see the schedule being built on the big screen in front of the auditorium. Additionally, we only built the first two time slots in the morning schedule and then would repeat this process in the afternoon. Once the sessions were created and all the time slots filled, we asked session leaders to briefly describe their session. This helped further articulate what the session would cover and help attendees select the best session for their learning. 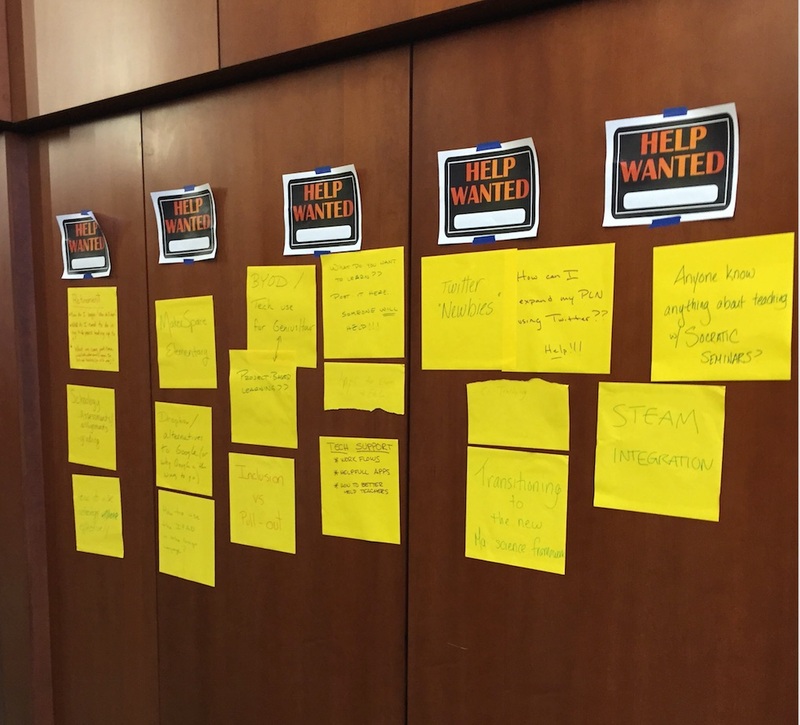 Initially, I was both skeptical and nostalgic about making these changes to the traditional EdCamp schedule building, but I have since resigned those feelings after seeing how it impacted the day. 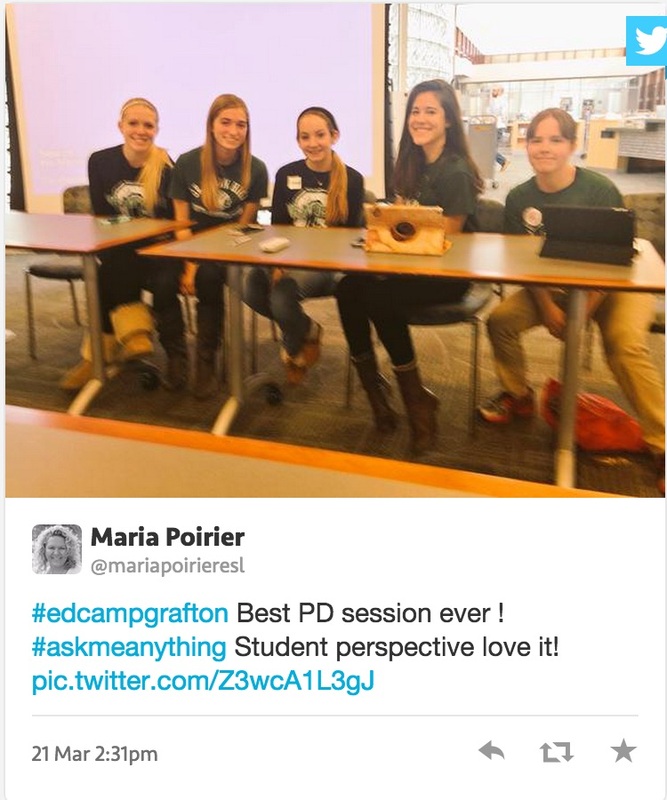 Additionally, Alice Barr, an EdCamp Maine organizer and one of the coolest people I know, shed some light on the impetus behind these changes that helped me see the good reasoning behind it. Ultimately, the EdCamp board can be intimidating to some and those who have never experienced an EdCamp. Allowing participants to not only talk to an organizer and not feel they are being publicly displayed helped more new EdCampers jump in and lead a session. Similarly, this new way of building the EdCamp schedule helped attendees bounce an idea off of an EdCamp veteran and feel more comfortable in their decision to lead a session. I tried to attend as many sessions as possible throughout the day. This was evidenced by the numbers on my pedometer at the end of the day that said I had walked roughly 4 miles during EdCamp Grafton. What I witnessed was a variety of formats: conversations, demonstrations, debates, etc. Additionally, I noticed several themes throughout the day, but the one theme that stood out more than others was “innovation and design in our classrooms”. And, I’m not talking about technology at all. Rather, I’m referring to old educational policies and standards that are in dire need change. There was a conversation based around the book, Teach like a Pirate. Educators gathered in this session and talked about ways to reinvigorate their passion for teaching and discussed ways to engage students actively in their learning. There was a session on shredding the gradebook that discussed ways to destigmatize grades and shift student drive from pursuit of a letter or number, to owning their learning and being proud of the outcomes. There was a student panel of Grafton High School students that shared how being a student in 1:1 iPad high school is more about engaging in a culture of empathy and kindness for each other rather than any app or device. There was a session about student apathy and disconnectedness from learning. Educators shared strategies for re-engaging students and forging relationships with students that help engage them in their learning. And I could go on for several more paragraphs on all of the amazing discussions that occurred today at EdCamp Grafton. EdCamp Grafton ended in a slightly different way than the typical “App Smackdown” conclusion. We thanked all who attended, presented and shared throughout the day. Additionally, in place of the App Smackdown we simply asked, “How Will Your Learning Today Change Your Monday?”. Attendees raised their hands and we scurried up to them with microphones. Several participants shared how what they learned today would impact their teaching and their classrooms next week. New ideas blossomed from all around the room and provided everyone with an abridged version of nearly every session held at EdCamp Grafton. On Saturday, EdCamp Grafton was about educator voice. An EdCamp model is what educators want out of their professional learning. Not just one day of it, but consistent conversations around themes and ideas that help improve their practice and ultimately provide a better learning experience for the students they teach. EdCamp is not about “App Smashing” or technology. EdCamp is not an organized forum for educators to complain about policy. 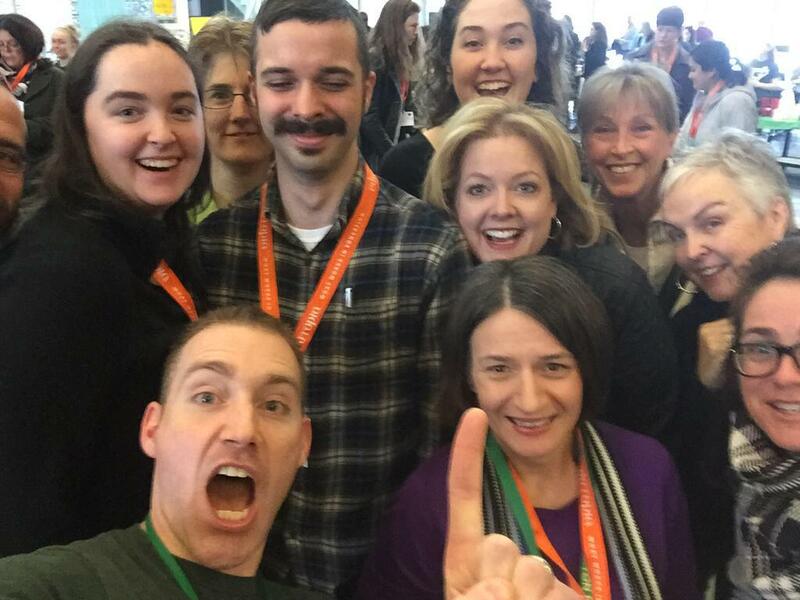 Put simply, EdCamp is an invigorating refresh for educators’ passion. Passion that has always been there, but interrupted by disingenuous educational policy. Like the spoken word, the EdCamp model will endure and hopefully become the standard paradigm by which districts integrate professional learning. My hope is that we don’t need to attend an EdCamp in the future, rather, it simply becomes the standard professional learning model that every teacher experiences throughout his or her career. Educon was the first education conference I ever attended in 2010. I credit this conference for opening up my connected educator life and rethinking what an educational conference should be and can be: a conversation. Educon is without pretension and has always been a comfortable experience no matter how long you’ve been teaching or how “connected” you think you are. It’s a forum that allows all voices to flourish, be heard, challenged, and engaged. This was the trend we were seeing in our networks and we wanted to engage in this conversation in order to step back and refocus the lens of our respective networks. We started our session by asking participants to engage in a conversation about why they attended our session and what they hoped to take from it. What we learned was that we had several diverse pockets of participants in digital networks. Some had signed up for a Twitter account, but had not actively engaged in the medium. Some were looking to organize their networks and found it difficult to keep up with daily. And some participants wanted to know how to develop digital networks within their school or district. For Lyn and I, this presented a great structure for the next phase of our session. We then asked participants to look in the mirror and define who they were in their networks. We divided the room into four categories: Cheerleader, Captain, Counselor, Carpenter. We then explained briefly what each role was and asked participants to connect in the section they saw themselves. We gave participants five minutes to discuss why they selected this section and then share out. This activity further articulated not only how people saw themselves in their respective networks, but further articulated what we hoped to solve in our session today. For the remainder of the session we had groups discuss the dilemma’s within their networks. As participants discussed these dilemmas, we had them post them to a padlet wall. The group shared out and eventually we looked towards crowdsourcing solutions to these issues. Ultimately, participants walked away with new ideas and insights on how to organize their digital networks, how to engage with them, and how to use them to impact their professional learning. Shortly after our session ended, we received a Tweet from Scott Coleman in reference to our session. For Lyn and I, this is what we hoped participants would leave saying. Not so much that it was our favorite, but that we could help focus this type of learning and provide a smooth path towards learning and engaging with digital networks. Our session fit right into the conversation model that Educon promotes; however, we wanted to make sure the conversations and connections at Educon could continue beyond this past weekend. We hoped that participants of Educon and our session would leave full of insight and new ideas, but also further engage in conversation using digital networks such as Google+ and Twitter. I hope that those who attended Educon for the first time this past weekend will continue those conversations and constantly reexamine their networks and how they engage with them. Thank you Chris Lehmann, Diana Laufenberg, and all of the SLA parents and students for continually hosting one of the best conversations in Education. It truly is “the best bake sale in education“. 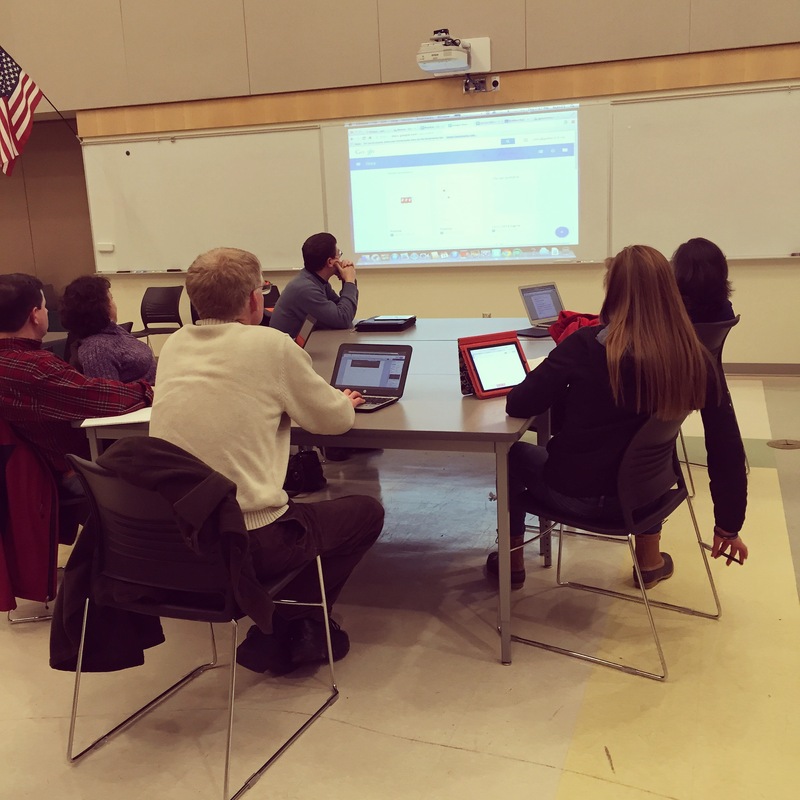 Last evening, Grafton Public Schools hosted its second community tech night of the year. The focus of last evening’s session was around the Google apps for education suite of apps. Over the course of two sessions held, we’ve had 35 parents and community members show up as well as tech directors and specialists from neighboring districts. The goal behind these events is simple: connect and support our community on the new and emerging technologies and applications that are being used in education and beyond. What we want to do is educate our greater community on the tools and applications students and teachers use daily. Most schools do a great job supporting students and teachers around technology devices and applications, but many times leave out parents. I have designed and developed these nights in the last three districts I have worked in. The setup and plan is simple. Initially I scheduled these events for the third Thursday of every month and hold them in the evening from 7:00 – 8:30pm. I setup a Google form so that parents can sign up for the event and I can plan my instruction around a set number. I also ask parents and community members to bring a device if they have one. We also offer devices to those that don’t have one to bring. Initially I have set the topics around initiatives or updates on devices or applications that both students and teachers are using within our district. I also look to provide sessions around larger topics such as digital citizenship, social apps, and privacy. Once I set the first few sessions up, I will also begin to crowdsource topics for later sessions. I post session updates on our blog and also use our robo-call system to send email reminders to all of the parents in our district. Additionally, I seek out our local newspapers to post an article about these nights as well. The sessions run pretty smoothly and are designed to be informative, share demonstrations, and to include a hands-on workshop. I primarily lead the sessions and then will have some of our district tech specialists on hand to demo and provide the practitioner’s perspective of how these tools are being used within the schools. We also have had our Grafton High School tech team students on hand to provide support and a student’s perspective on how these tools are used daily. Ultimately, this is my way of connecting with the parents in our district as well as the Grafton Community. It’s imperative that school districts and school leaders include parents on the conversations around technology, access, and privacy happening within the district. Plus, as a director of technology, it is helpful to glean feedback from parents and how they view the technology initiatives in our district. I plan on continuing our community tech nights and expanding the opportunities for events early next year. In the course of the last two events I have received requests for more frequent sessions, sessions every week, and even Saturday sessions. In the Spring, Grafton Public Schools will be launching a one day (Date and website to be determined) EdCamp for parents at our high school. Unlike typical edcamps, we will crowdsource our session ideas before hand and have many of our students leading sessions for parents and community members. We will also have teachers and admin sharing their experience with technology in education. Ultimately, we hope to connect and educate our greater school community with the technologies that we employ in education and develop a true community of learners in Grafton.